I made these gluten free chocolate coconut cups for a work fundraiser a couple of weeks ago. 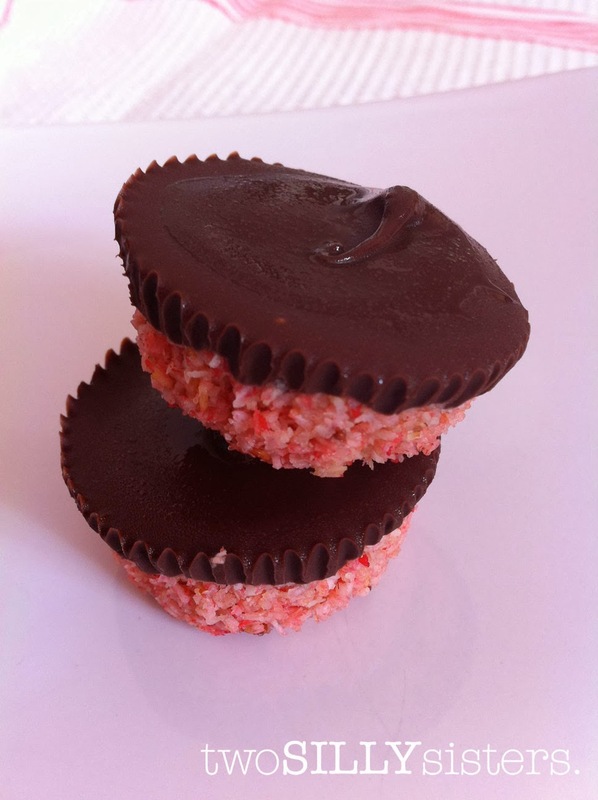 My inspiration came from the humble Bounty Bar, which I used to LOVE as a child (pre coeliac days). Having said that I used to love, and still do love anything coconut flavoured. I was truly sad when I found out that I could no longer eat a bounty bar in my life. So I thought, why not replicate them?! 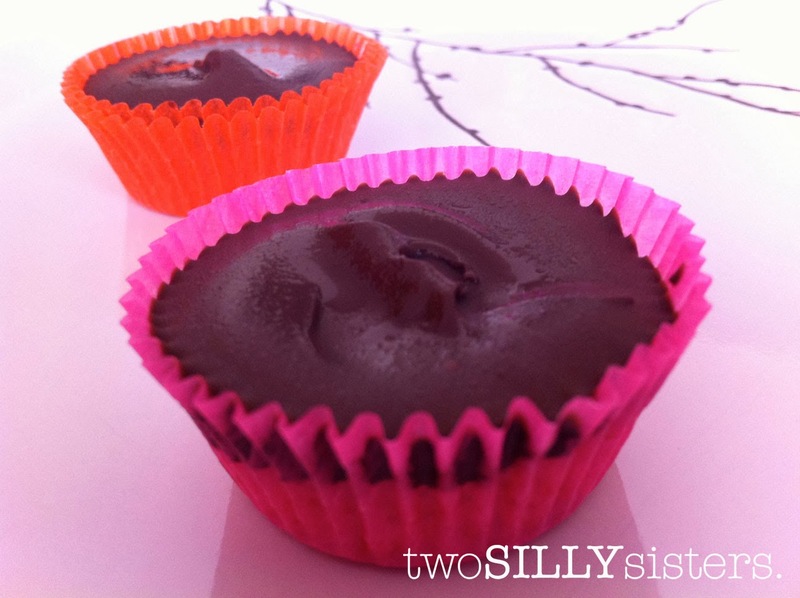 After a bit of experimentation I developed the perfect recipe for gluten free, dairy free, vegan chocolate coconut cups! 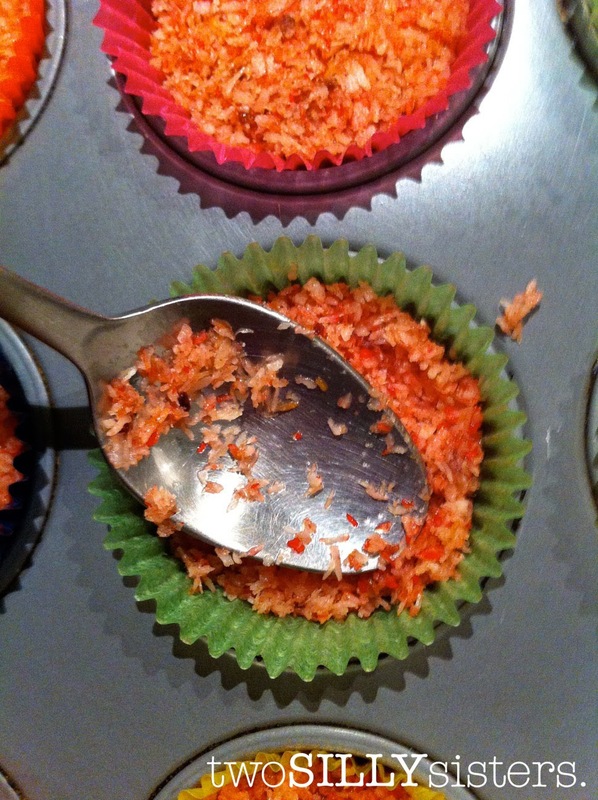 And the best bit is they are so simple to make – no baking or cooking required! I’ve added a small quantity of raspberry jam to this, so it could be a cross between a Bounty Bar and a Cherry Ripe really. You could add any flavour of jam or completely omit this instead. The recipe is quite versatile. 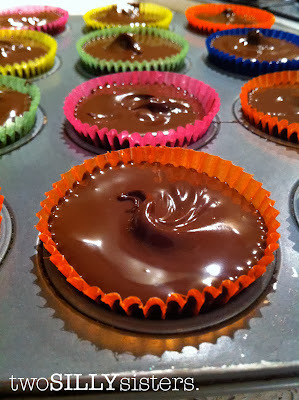 These gluten free Chocolate Coconut Cups are great for parties and can be made well ahead of time. And to be honest they aren’t that bad for you at all. 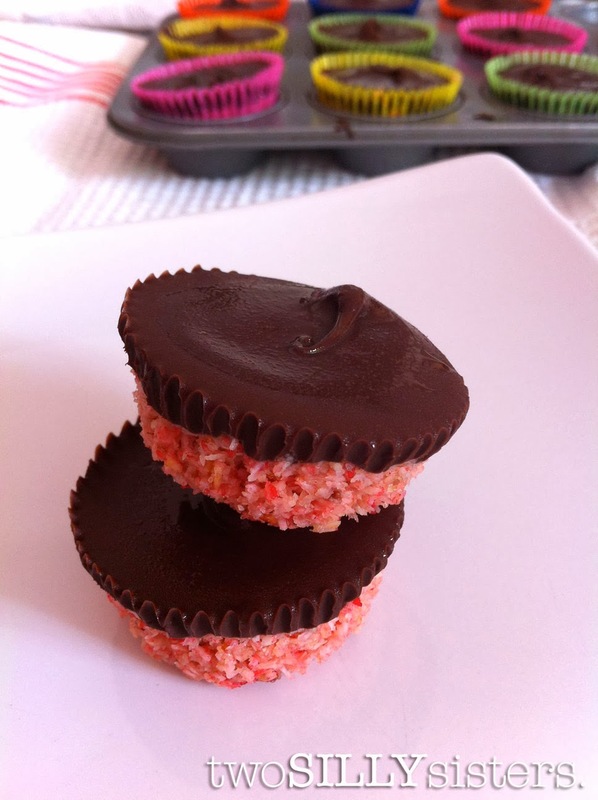 You may be surprised when you taste the delicious goodness of raspberry coconut with a hit of chocolate – but the filling is made up of all things coconut, which in actual fact are all good fats. Just make sure you use a good quality dark chocolate and you’re covered! 1. 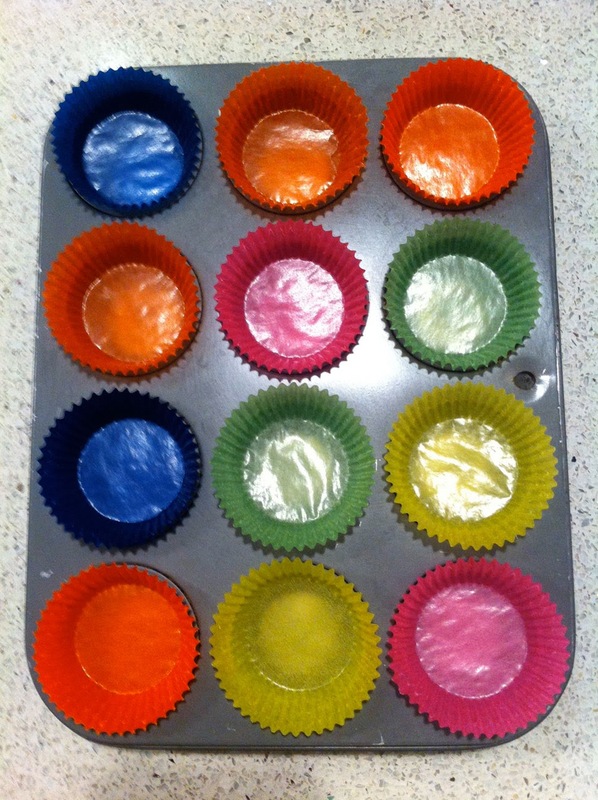 Prepare the mini patty pan cases in mini muffin pans or alternatively on a baking tray. 2. Combine the desiccated coconut, coconut syrup, coconut oil and raspberry jam in a bowl with a spatula, until combined well. The mixture may seem dry at first, but don’t be discouraged, keep mixing and it will all come together. Add a few drops of food colouring as desired. 3. Place a couple of teaspoons of mixture into each patty pan case and press firmly in place with the back of the spoon. 4. Place the tray in the freezer for about 10 minutes for mixture to set. 5. 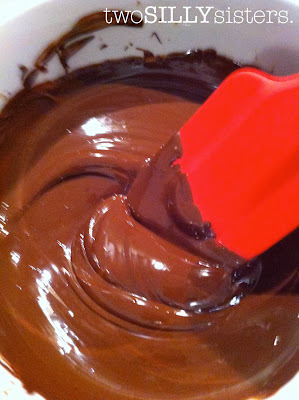 In the meantime melt chocolate using the double boiler method. Boil a small amount of water in a saucepan. Then place a bowl or second saucepan on top, making sure not to touch the water. Add the chocolate to the bowl and wait for the chocolate to melt. 6. Remove coconut cups from the freezer and pour about 1 teaspoon of melted chocolate into each cup (pour in more chocolate if desired). 7. Place the tray back into the freezer for another 10 minutes for the chocolate to set. If not serving immediately store in the refrigerator. Best served cold. These look delicious! Was wondering how long they last in the fridge and can they be frozen to eat at a later date?